Driving south towards Queenstown on Hwy. 6, do not enter Queenstown, but continue south on Hwy. 6. 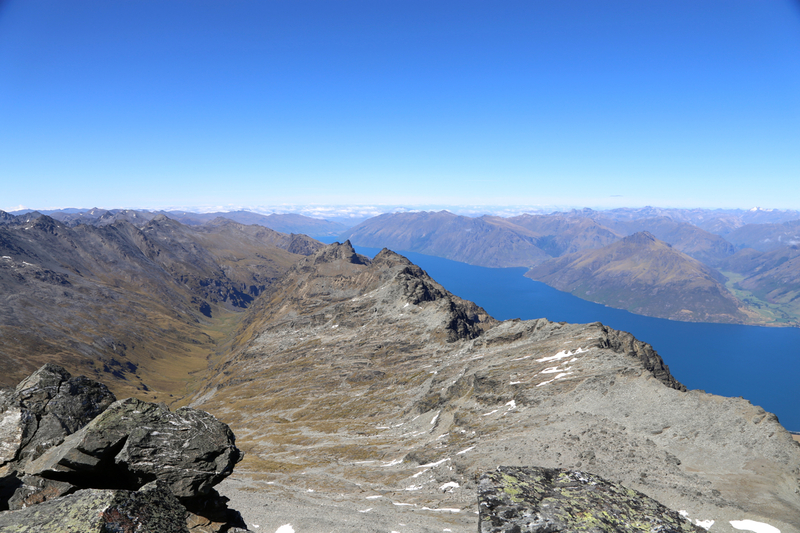 You will then easily locate the access road to the Remarkables ski area, going left. Take this road and drive steeply uphill to parking at the ski area. This is the trailhead, location S45.05251, E168.81306, elevation about 1590 meter. This is a quick summary and reference to climbs made on this trip. From the parking, head uphill in the main valley, then pick up a signed and very tourist trail marked for Alta lake. Follow this a short stretch to the lake. You will see the mountains across the lake and a distinct pass on the left side, uphill from the lake. Continue along the trail (on the left side of the lake), the trail has several branches here. head towards the steepish slope just below the col. The trail will soon be more visible and climb the slope up and into the col, called Wye Pass. 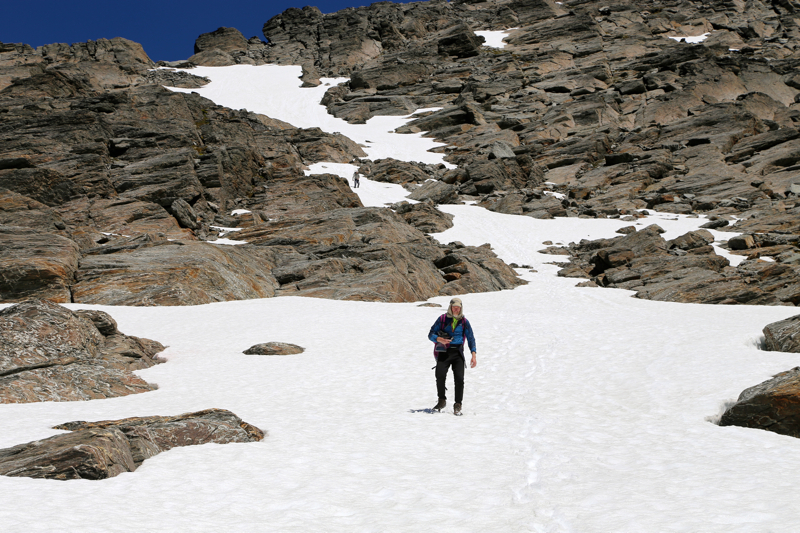 Go right and ascend to the plateau above the pass. Follow this terrain left, a gentle uphill, while keeping your distance to the mountain. 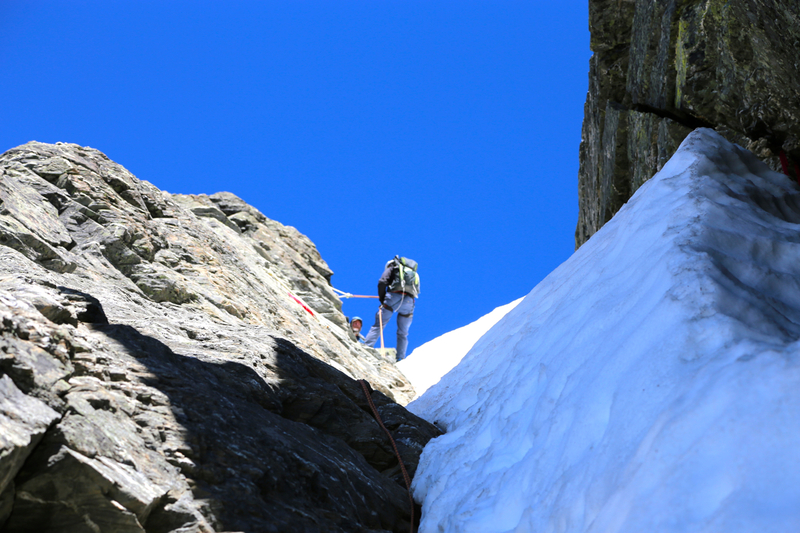 Higher up, this route bends right and finally gets to the steeper slope below Single Cone. There are some cairns showing the way. 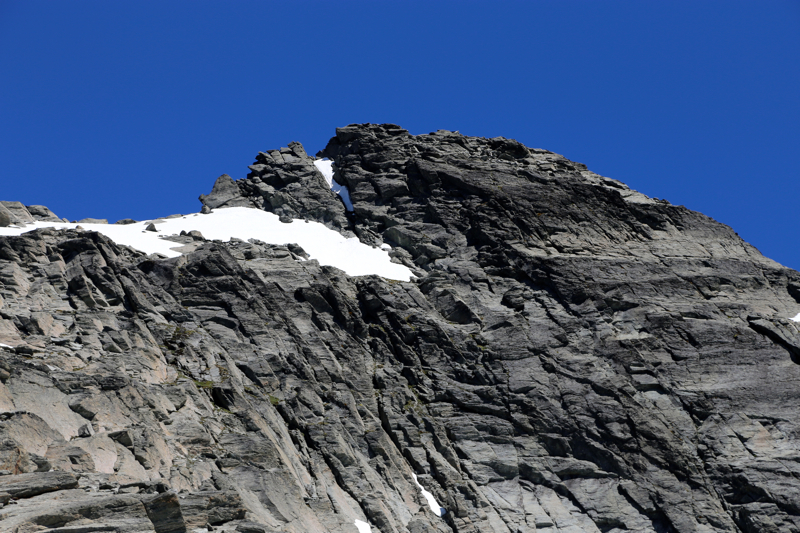 The very distinct gully near the top may be visible from below. Ascend on a line that runs well left of this gully. The terrain is broken with big slabs of rock and good friction. Further left is generally easier than right. You may find a route up here at class (YDS) 2+, possibly only class 2. Further right you will run into class 3 terrain. 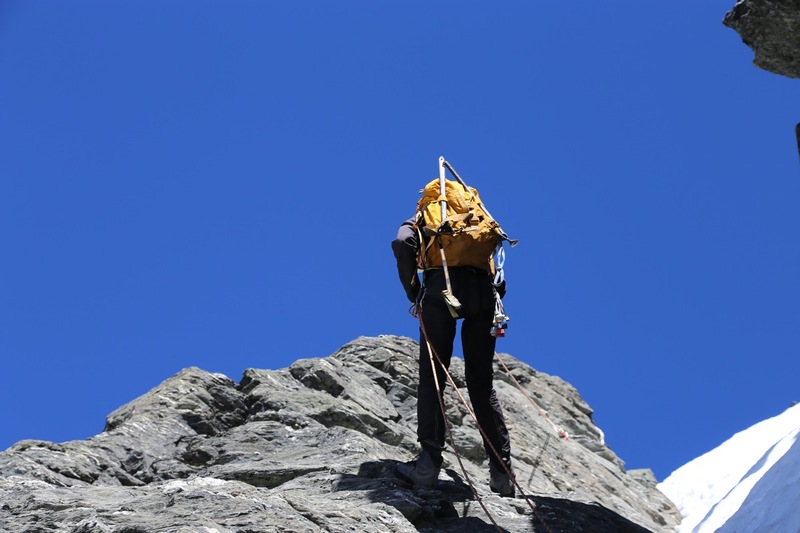 Once you have reached an elevation that roughly matches the lower section of the key gully, traverse right and find an obvious ramp that serves as access to the gully. 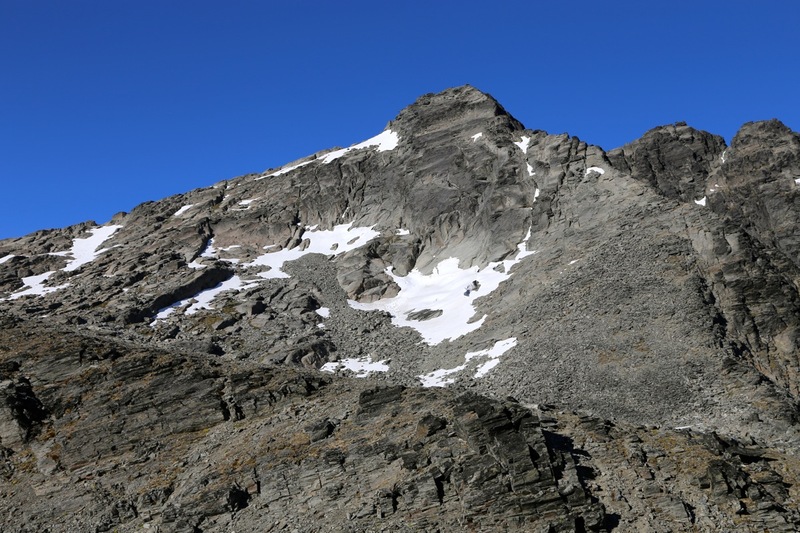 The gully may be snow filled in early season. Most parties will likely rope up here. Climb (pretty easy) to the base of the gully, then up the gully. There are a few fixed anchors along the way that one may clip into. When the gully tops out, there are two options. The easiest way is to cross the small saddle, then walk around and up to your right. Easy, but somewhat exposed. 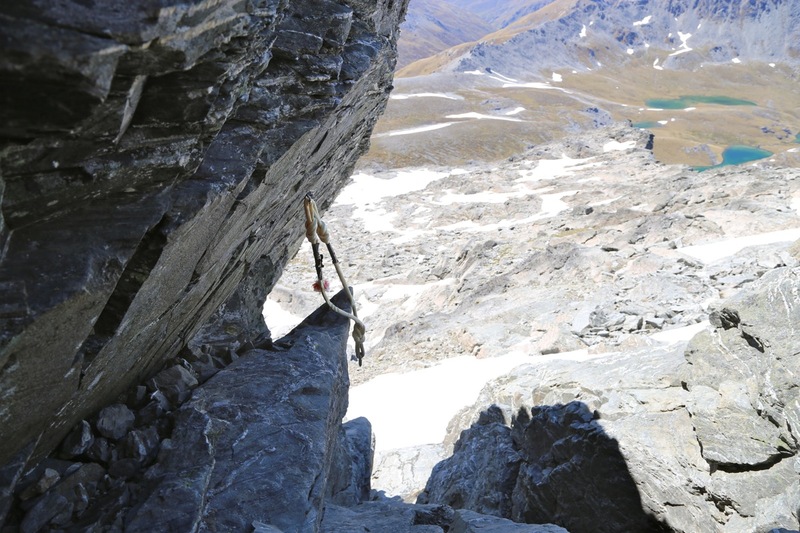 The alternative is to stay on the same side of the gully, turn right and climb about 2 meter, a steep step that likely is the hardest move on this route (not very hard). Once up, what remains is an easy walk to the summit block, then a final, very short scramble to get on top. We drove down to the Remarkables in the morning. While we were driving, a magnitude 6 earthquake happened a bit further north. We did not see or feel anything and got this news afterwards. We were ready to hike by 0730. It was a beautiful morning as we ascended to Alta lake om a good trail, obviously, many people walk this section. 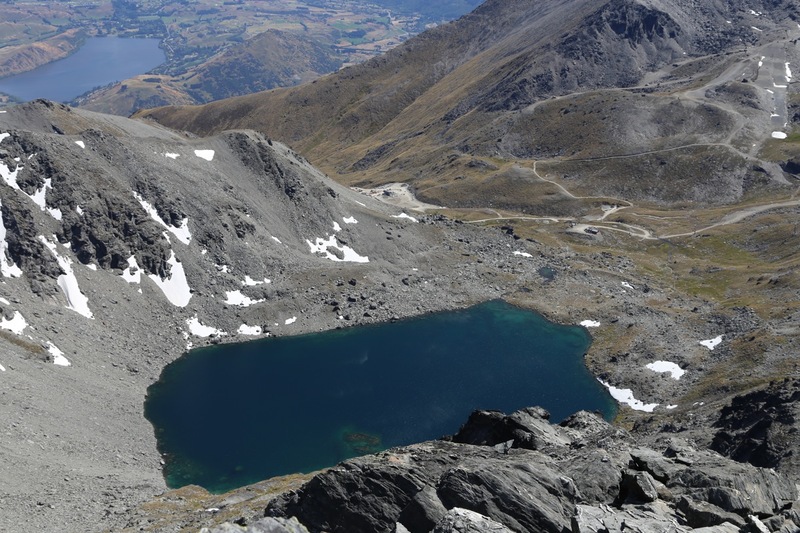 Alta lake is well known, since it represented Dimrill Dale in the films Lord of the Rings. We took a trail that ascended left of the Wye Pass, thus we needed to traverse right and actually descend a bit to reach this col. On returning, we found the correct trail that connects directly down to Alta lake. 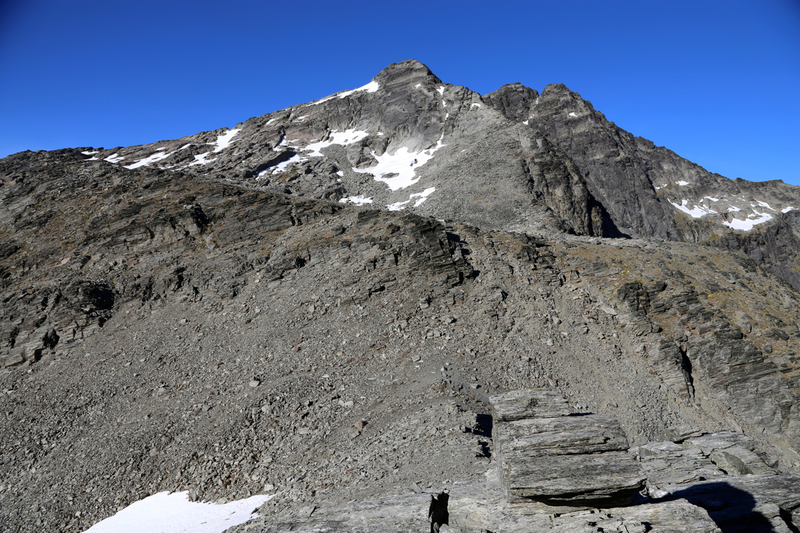 As we got higher, the details of Single Cone became clear and we soon spotted the gully, still having snow near the top. 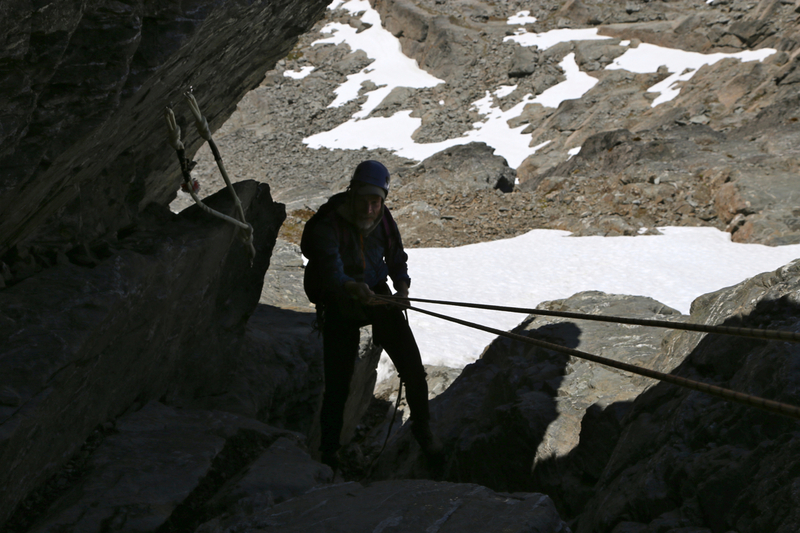 We scrambled up (YDS) class 3 terrain, traversed to the beginning of the ramp and started climbing from there. Pål Jørgen led and all 4 moved on running belays. 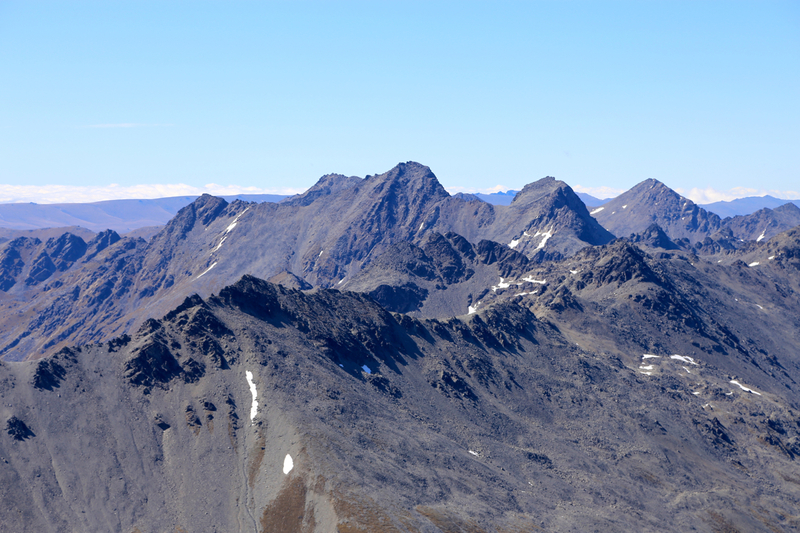 As he did not look across the final saddle, Pål moved right and climbed the final steep step. 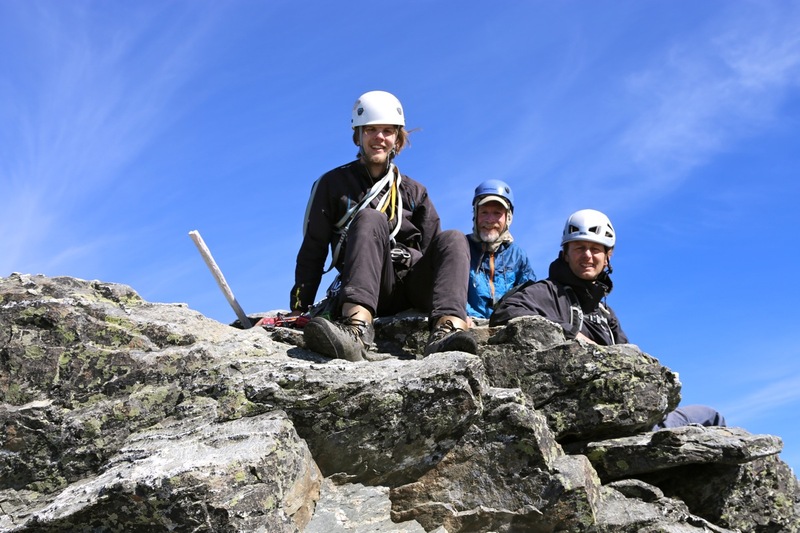 We all followed and truly enjoyed a fine summit with good sunshine and spectacular views in many directions. 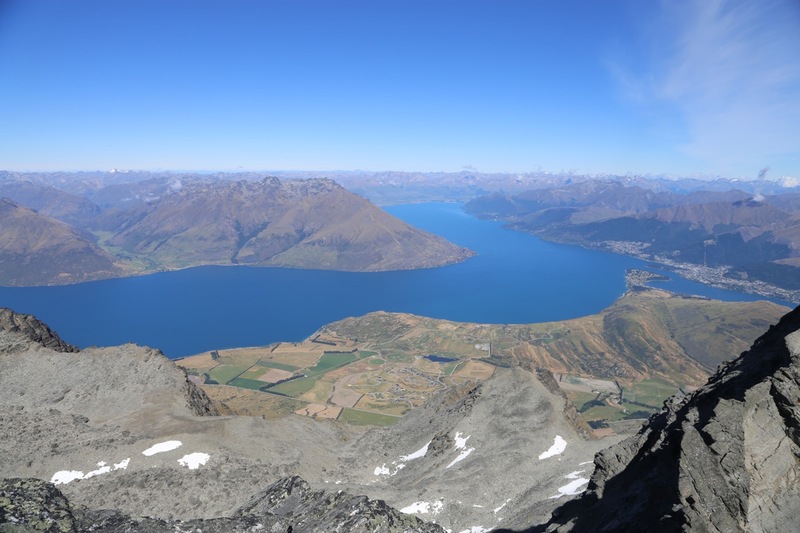 The view down to lake Wakatipu is just a very unique sight. The connecting ridge to Doublecone looked quite rugged, more so than the descriptions one can read about this traverse. 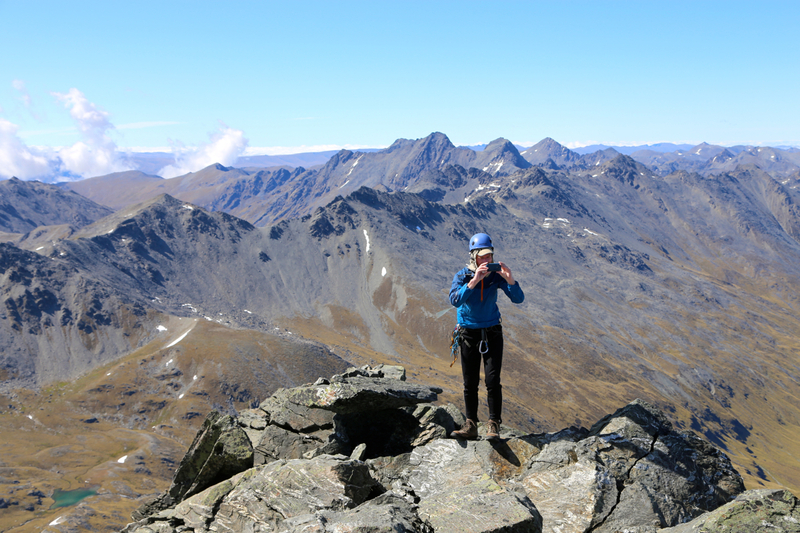 We arrived on top around 1045 and enjoyed this very nice location for a bit more than 30 minutes. Mount Aspiring caught our attention, as it turned out, we would approach it the same evening. 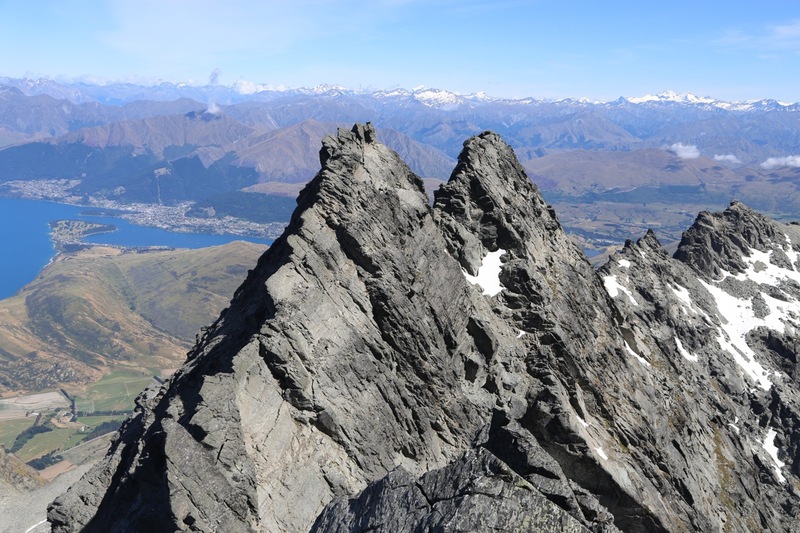 The standard route is the ridge on the right hand side as seen from Singlecone. The descent was just a nice continuation. We abeiled down the gully, then walked down a bit further right than our line of ascent. Back at the car by 1430. The day was perfect what regards the weather and the forecast for the next day was also very good indeed. We had read about the unstable weather and the strategy to travel up to Bevan Col by helicopter, then climb Mount Aspiring the next day, in order to maximize the chances of good weather on the summit climb. Thus, we called ahead and made arrangements to fly to Bevan Col the same evening. Lake Alta, as seen from the summit. 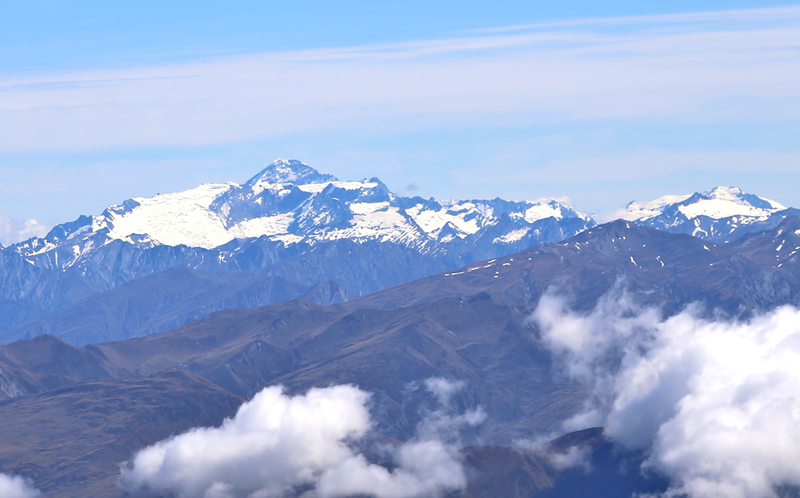 Summit view, the Southern Alps.